May 24 – Last day of school. Early dismissal at 1:00. Report cards go home with students. We have had a great start to the 2018/2019 school year! With the addition of two parking lots, one behind the administration building and the other across the street from our bus loading zone, it is much easier for visitors to park for school events. 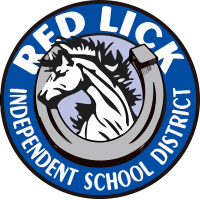 This is the beginning of my seventh year as the Elementary Principal at RLES and my twenty-sixth year in education. I am blessed to work with outstanding staff members and students, supportive parents, and an active PTCO and Education Foundation which all work together as a family, contributing to the success of the school. Ask your child about our SEM Fridays. This is an opportunity for your child to select an activity that they are interested in pursuing (gardening, Mustang News, cheerleading, cooking, sewing, etc.). 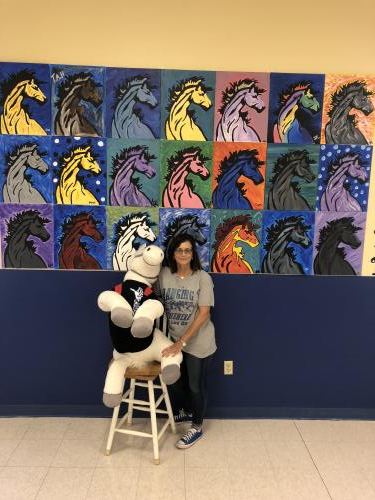 Our Character Eduation program focuses on the attributes of a Bucket Filler where we encourage every student to “fill other’s buckets,” and to focus on Mustang P.R.I.D.E. For the 2018/2019 school year, our Accelerated Reading program will have a western theme. The AR program encourages students to read by giving them an opportunity to earn points that they can spend in the AR store. We will continue to use a research-based collection of reading material from Fountas & Pinnell in the lower grades. These help with fluency and comprehension. In the third and fourth grade, our Mustang Ambassadors display the attributes of great leaders. They are given the opportunity to greet visitors at our front door for many of our school-sponsored events. Another opportunity for RLE students is that alll kindergaten through fourth grade students will be learning conversational Spanish with a certified teacher. Technology classes will be taught by Mrs. Farrar where our students will learn some coding along with other technology TEKs. I am looking forward to an exciting and successful school year. Please continue to visit our website to stay current with school events. "Children are NOT a distraction from more important work. They are THE MOST important work. -C.S. Lewis"